Release what no longer serves us to allow the space to create what inspires us. Harness the energy of the Orion Meteor Shower of shooting stars and fireballs to make that wish a reality! With the shooting stars and fire balls from the Orion meteor showers happening in October 7 to November 7 in 2016. It is an awesome time for us to remember that we are only here on earth for a short time. We are from the planets with a higher purpose. Take time to connect to our higher self and go deep within our soul. Our soul knows who we are, what our gifts are and what we are here for. As we integrate and be conscious of ourselves, we allow ourselves to remember and embrace who we are. Now is a great time to tap into the cosmic starway and feel the energy of the meteor showers. As Halley’s comet brushes through the galaxy, the Orion planet gives up the debris and lets it go with a blast. These ends up being the meteories that are released through the galatic space. They can be seen by the naked eye as shooting stars or fire balls. These amazing sights remind us that as it is ok for us to give up what no longer serves us. It is ok to give up parts of ourselves like debris. As we release these parts, it may be painful as they were parts of us, but as they are released, they create beauty for someone else. As we let go, it burns up negativity in the fire ball. As we let go, it becomes a shooting star that propels our dreams into the galaxy. Let’s give up freely what no longer serves us and release to allow the space to create what inspires us. As we let go, we evolve and become more of our true nature, our real self and return to the original blueprint. That’s the blueprint of love, compassion, growth and inspiration. October is a special month for astronomy lovers, because around this time every year, Earth passed through the tail of debris left behind by three different comets. 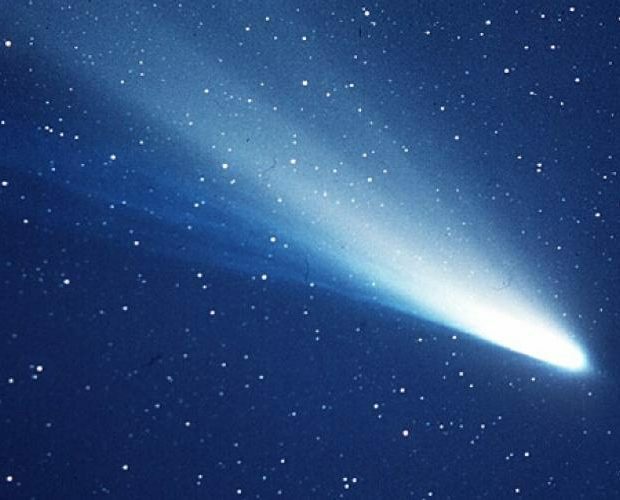 Right now, we’re cruising through the tail of Halley’s comet, and the result is one of the best sky-watching events of the year – the Orionid meteor shower. This shower lasts until November 7, but don’t wait, because it’s about to hit its peak. The Orionid meteor shower is one of two meteor showers created by debris from Comet Halley. The Eta Aquarids in May is the second meteor shower created by debris left by Comet Halley. As Earth passes through this dirt cloud twice a year, these meteoroids burn up in our atmosphere to become meteors – otherwise known as shooting stars. The Orionids meteor shower can also produce fireballs, which are meteors that shine extremely bright for a few seconds before fading. These meteors are known as Orionids, because they appear to emanate from a region to the north of the second-brightest star in the Orion constellation – Betelgeuse. It’s called Orionids because the meteors seem to emerge or radiate from the constellation Orion. They were originally meteoroids, formed from the remnants of the nucleus – or rocky core – of Halley’s comet. Since breaking apart from the comet, they’ve remained as a swirling cloud of rubble, shadowing it as it orbits the Sun every 76 years. Halley takes around 76 years to make a complete revolution around the Sun. It will next be visible from Earth in Year 2061. The shower will hit its peak Singapore time October 21st 12 mid-night to October 22nd 6am, when you’ll get a chance to see up to 20 meteors per hour burning up in Earth’s atmosphere all night long. Where Can I See the Orionids? A First Quarter Moon ill make this meteor shower easy to see in both the Northern and Southern Hemisphere. While you can easily see a shooting star looking straight up, the table below shows the exact direction of the Orionids from your location. For the best chance of spotting the meteors, you’ve got to think strategically – meaning don’t just step onto your balcony and wonder where all the shooting stars are, find somewhere with low light pollution, lie back on a deck chair, and wait. Your best bet to spot these beauties is to get out of town where the nights are darker, and give your eyes time to adjust. You’ll also need to find the Orion constellation in the sky so you know where the meteors are going to appear (called the radiant), and the easiest way to do that is to look for Orion’s Belt – three stars that are pretty much evenly spaced in a straight line. Azimuth is the direction, based on true north, a compass might show a slightly different value. Join us tonight 7:30pm for the Pleidian Starway Meditation & Channeling. I have been inspired to bring us on an astral travel to Orion where my heart is, to harness the rare cosmic energy with the Orioid meteor shower. Next time we get to experience this is in 2061. Don’t miss this! See you tonight! The #Orionid #meteor shower is expected to peak tonight (Singapore time Oct 21 at 12 mid-night to Oct 22 at 6pm), and visible through Nov 7. You can see it as a #shootingstar. The Orionid #meteorshower is one of two meteor showers created by debris from #Comet #Halley. It’s called Orionids because the meteors seem to emerge or radiate from the #constellation #Orion.